A mom waves at the fourth annual Royle Elementary School "Parade of Learners" before the start of the first day of school in Darien, Conn. on Aug. 31, 2017. DARIEN — Parents and teachers at Royle School remembered last year’s first day of school being rainy. But this year, the first day of school fell on a sunny and clear day, perfect for Royle’s fourth annual Parade of Learners. 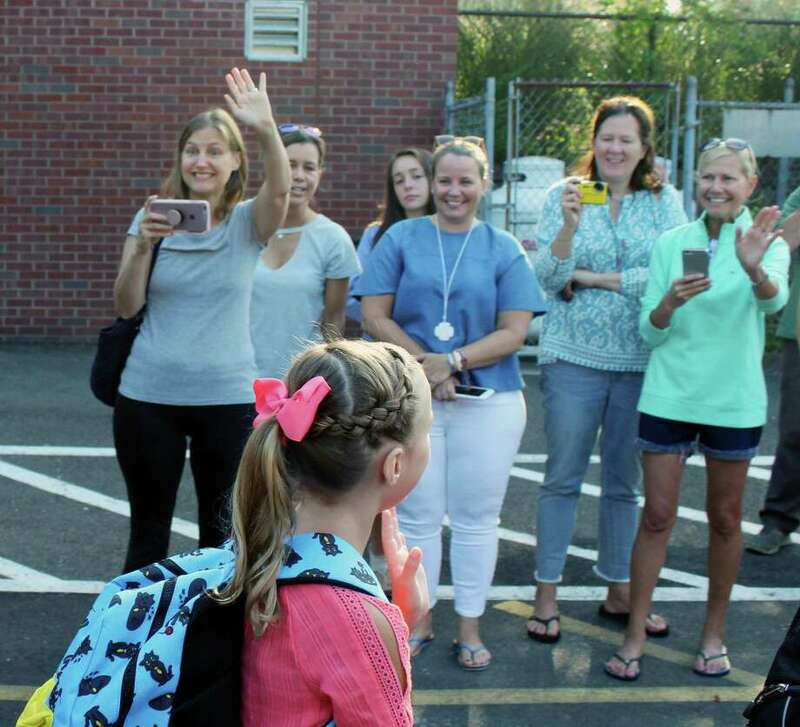 Parents lined the side of the school with cameras and smiles as each class, starting with the kindergartners, marched into the school for their first day on Aug. 31. An emcee announced the classes, led by their teachers and Royle Principal Dean Ketchum.